Barter Books : Army Council. 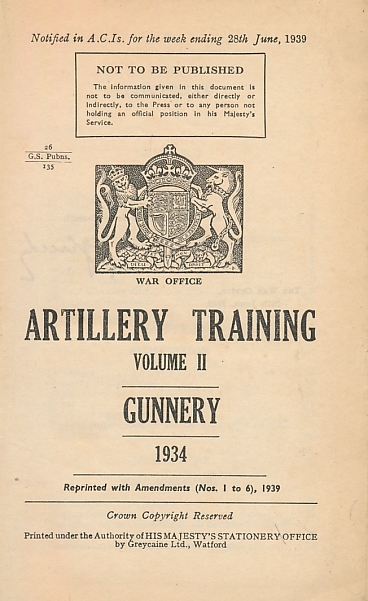 : Artillery Training Volume II. Gunnery. 190 x 120 mm (7 x 5 inches) - 290pp. G: in Good condition without dust jacket as issued. Cover rubbed. Spine faded.